Us SD1 owners need to stick together, so when I heard a fellow owner was having issues with his Vitesse, I offered to have a look. A few weeks ago I went over and had a look at Nick’s SD1, which has been having a running issue. The symptoms were that it would start, run for 30 seconds or so and then the engine would shut off. 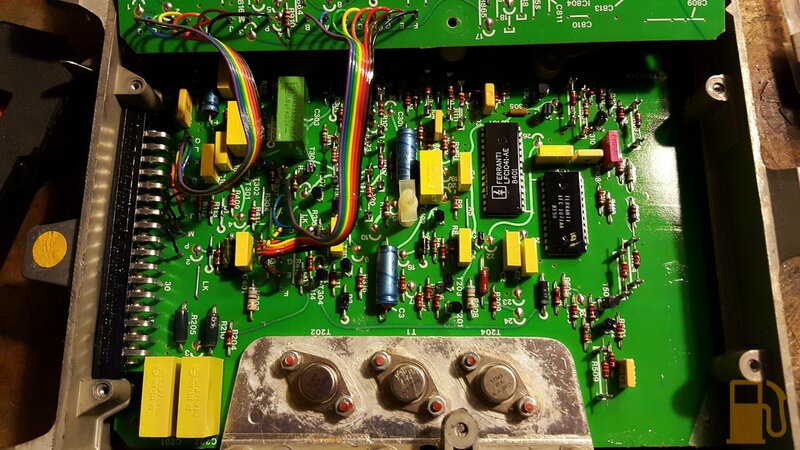 Nick had spent some time going through the EFI troubleshooting steps listed in the Range Rover manual, and ruled out a lot of the components that could fail. This saved a lot of time, knowing what we could eliminate. He also eliminated the fuel pump and AFM, and had the Steering Module diode pack reconditioned. Unfortunately even after completing the troubleshooting steps, the car still wouldn’t run. This is because the troubleshooting manual is based on the fact that the ECU is good and will never fail. This is where I got called in. I had spent a lot of time going over the ins and outs of the standard EFI system on the Rover when I pulled it out of my car, and it also meant I had a lot (1.5 cars worth, really) of spares to test with. We confirmed the issue again, it would run, and run really well, for about 30 seconds and then it would act like the key was switched off. Sometimes the fuel pump would still be running, and sometimes it would shut off. Holding the AFM flap open didn’t help. After a lot of probing with a multimeter, I noticed something odd. The TPS voltage was 0.0v at closed, and about 0.04v WOT. 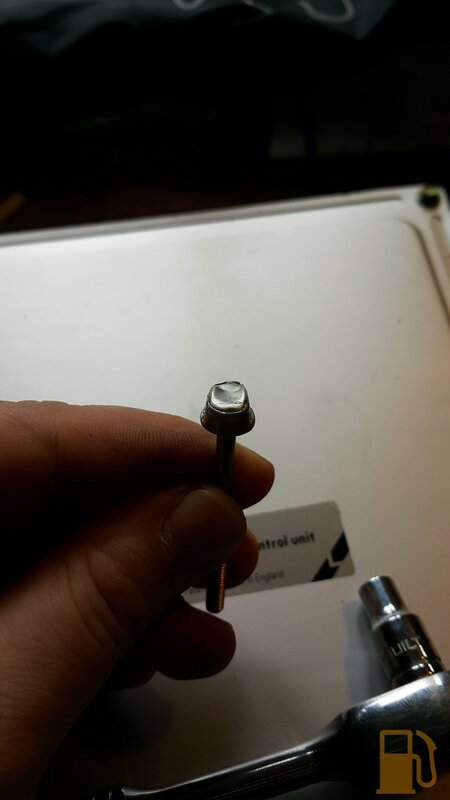 This is WAY too low, and it was intermittent. We made a quick run back to my place in my Rover, and grabbed my spare TPS, presuming the TPS was faulty. Nope, my good TPS also read the same. This lead me to wonder if the input voltage to the TPS was bad. Another coincidence with the TPS voltage sometimes reading low, was that the engine would not start when the voltage was low on the TPS, but would start OK when there was voltage. I happened to be lucky and have the test probes in the TPS connector when the engine cut out again, and sure enough the voltage reading went from the correct reading to 0.0v as the engine cut, and stayed there. There was also times where the injectors would see no voltage either. I back probed the ECU TPS voltage feed, and there was nothing. Voltage was going into the ECU, but nothing was coming out. Something was wrong. I swapped in my good Lucas ECU from my SD1, and sure enough the car started, and ran beautifully for 15 minutes or so, coming up to temp and settling into a nice smooth idle, and good response from the throttle when pressed. The TPS reading was also correct with the original TPS, once set. This was a HUGE win, narrowing down the faulty component in the system and having the car running again. 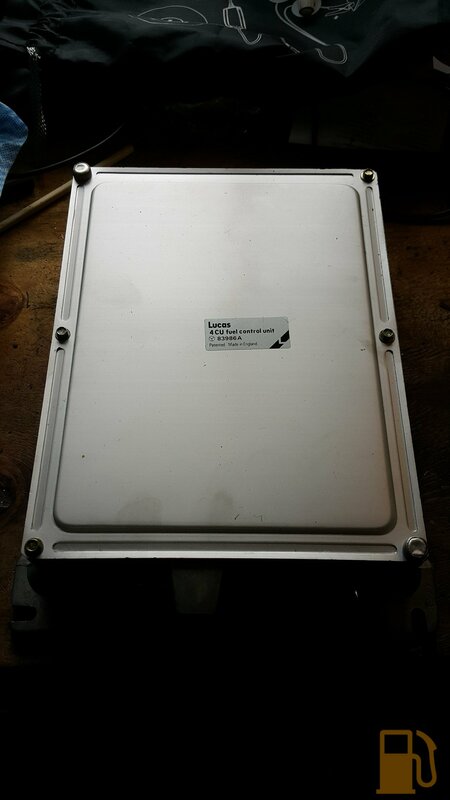 I offered to loan Nick my good ECU so he could proceed with the rest of the work needed to get the car driving again, and in the meantime I would take his ECU, and see if it can be repaired. Today I opened his ECU up and had a poke around inside. 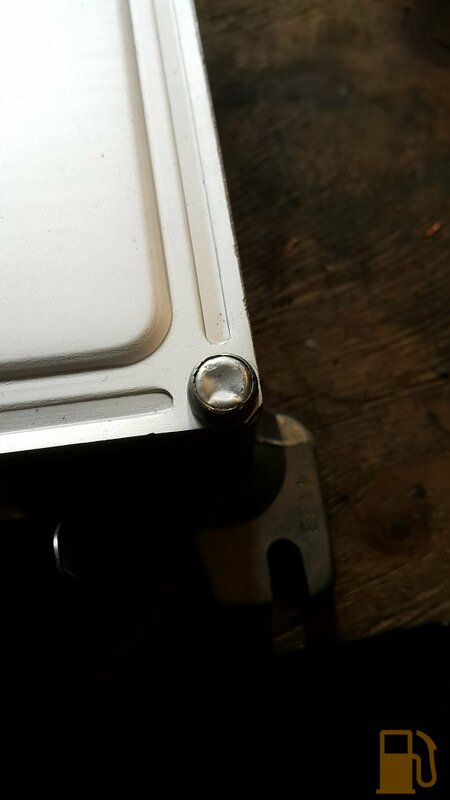 A 5.5mm socket gets the rest of the screws out. With the covers off, this all looks very familiar. 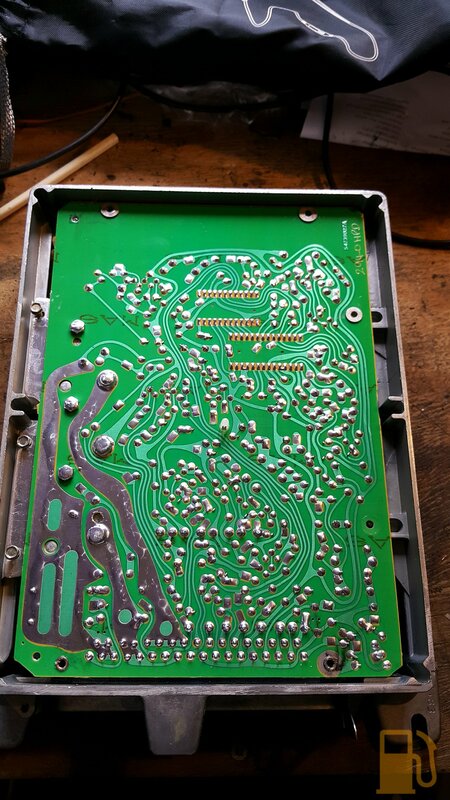 I had my suspicions of where the cold solder joint might be, and this was also backed by another SD1 owner suffering a similar fault and having the voltage regulator resoldered. 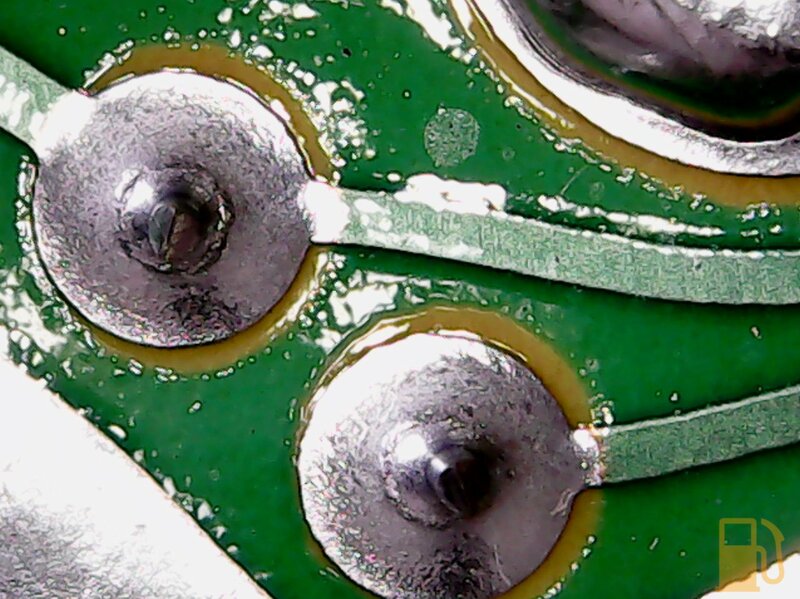 The large round items at the bottom of this photo are the power transistors. The two outer ones are for the injector banks, and the center one is part of the voltage regulator circuit. 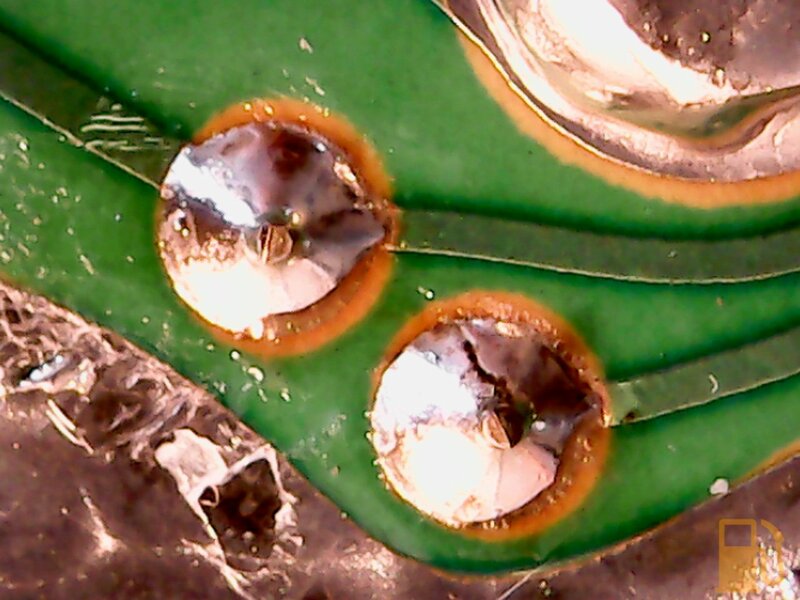 It’s not easy to tell in the photos, but the ring around the center pin is the cracked solder. This is causing an intermittent connection, and obviously killing the voltage to critical items. 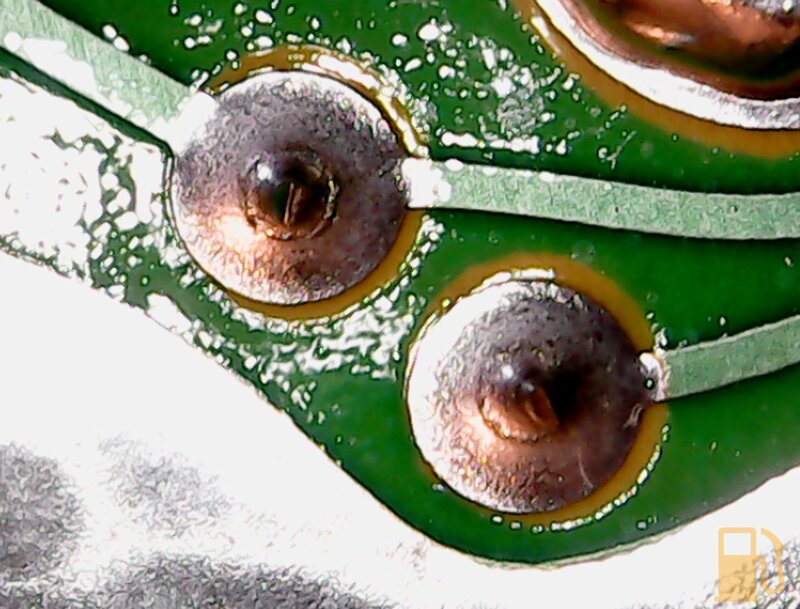 There were some other woefully average soldering joints on the board that I touched up, but those two were the only cold joints that I could spot. It makes sense, since the engine ran so well, when it did run. 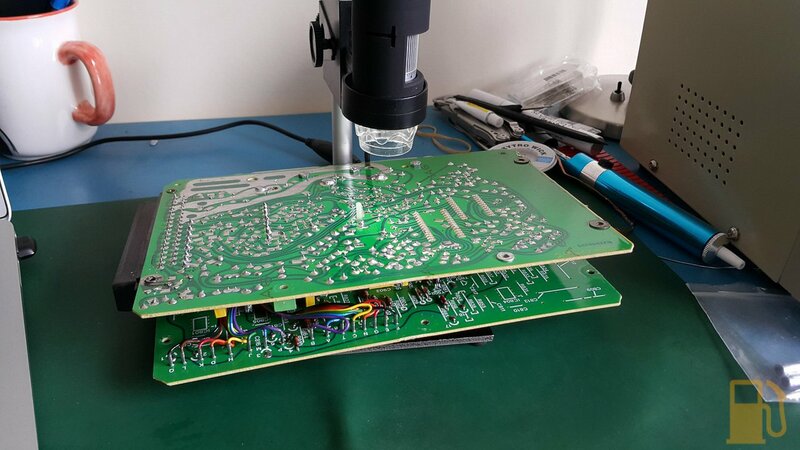 I’ll now reassemble the boards back into the casing, and arrange a time to refit to the car and see if the issue has been resolved. The ECU is now back in its home, and the engine runs like clockwork. I love a good success story.